Want to become a CNA in New York City? New York City is ranked top 5% for CNA wages, which average at $17/hour, but the top 10% of the nation’s nurse aids earn $50,000. 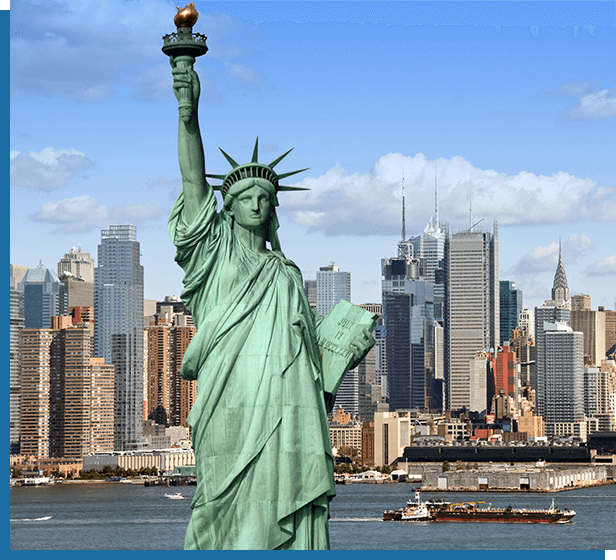 What are the CNA requirements in New York City? Here’s how to prepare for your CNA state exam and how to become a Certified Nurse Assistant in New York City. To start a CNA training program, you need to be at least 16 years old, have a high school diploma or the equivalent, pass a criminal background check, and have up-to-date immunization records. Next, you will need to find accredited CNA classes in New York City and successfully graduate from the nursing assistant program. 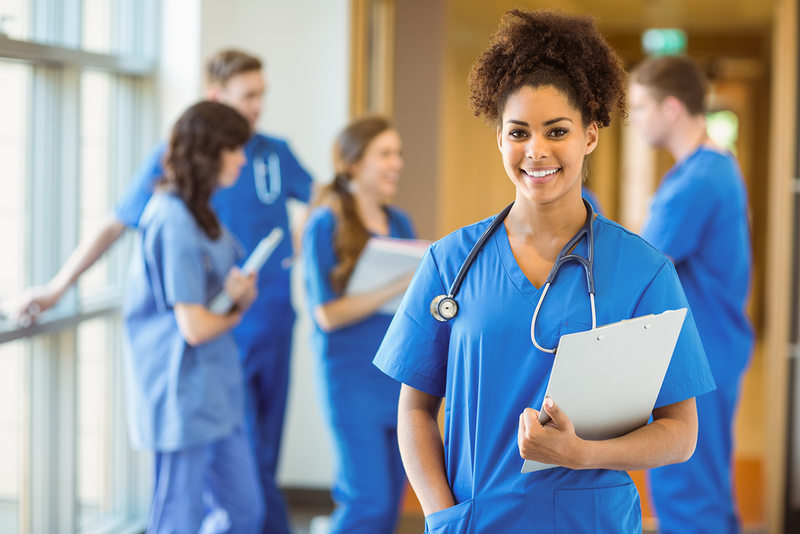 You must then pass the required state exam and register online on the New York Nurse Registry in order to qualify for a CNA job in New York City. New York has the one of the highest CNA employment rates, according to the U.S. Bureau of Labor Statistics. There are over 95,000 CNAs currently employed. New York is also ranked top 5% in the nation for CNA wages, which average at $17/hour, and can start at $40,000 a year. You can also get more detailed information by connecting to our page at How to Become a CNA in New York. If you can’t find a fully-funded CNA program, you can also opt for a partially-funded program such as the Certified Nurse Assistant Training Program with Goodwill New York City. The 11-week training program provides low-cost CNA classes for low-income students who just pay a nominal eligibility fee and must pass a nurse entrance interview. After graduation, the career counselors also help students find CNA jobs in New York City for next 5 years. You must be 18 years old, have no criminal background, and pass a reading and math assessment. Employers are in need of nursing assistants and many are willing to pay for your training and certification. CNAs are able to promote quickly and advance to levels such as Licensed Practical Nurses and Registered Nurses. Due to this career advancement, there is a high turn-around rate for CNAs and employers must fill their nurse vacancies. In New York, if you are employed within 12 months of completing the training, you can apply for your employer to reimburse your training. Before you start your training, search for CNA jobs in New York City to connect with possible employers. Speak with the Human Resources department and ask if they reimburse for training or if they have partnerships with specific CNA schools. They may even pay for your state exam fees or provide on-the-job training. Nearly half of all CNAs are employed at nursing facilities, followed by 30% at hospitals and 13% at assisted living facilities, according to the Bureau of Labor Statistics. In addition to providing training, Job Corps helps students with daily living expenses such as residential housing, food service, health and dental care, a bi-weekly basic living allowance, and a clothing allowance. Students can move to the Jobs Corps center where they live, train, and study in their chosen career field. When you graduate, there are careers advisors and counselors who will help you write your resume, plan your career, continue your training on-the-job, and find CNA jobs in New York City. Contact the New York Job Corps Center for more information about their Free CNA program in New York City. Best decision I've made was going back to school obtain my MA certificate. Had great instructors, Grear Advisors, fun staff. Will definitely recommend anyone who is interested in getting there medical field jump start. - Cindy V.
Took my CNA course here on april 2017( 1 month program, monday - friday 9 am- 230pm) I gotta say I had a great time attending this school. Mr. D was a great teacher and I learned a lot while I was here. If your planning to go here for CNA I suggest for u to do a research on the job role of a CNA but if u already know what it is then this school is the best. I live in astoria, went to jamaica allen school (1 hr commute) it was tedious for me but what they offer in this school was well worth it. I finished as a CNA with cpr certificate (which is included with the tuition) - Nikko N.
I attended TIA for the CNA course. I had a good experience with my instructor, Ms. Nina. The only downfall was the attitudes I'd constantly have to deal with over the phone, when I'd call to find out about my internship date or test date. But other than that it was a great experience. - Lanasia A.
I attended this school both for the CNA program and the PCT (phlebotomy & EKG course). All the staff is friendly and very helpful. They really push to make sure you learn everything u need to to pass the state boards. I still stop in to visit them to this day when passing. CNA program is about 6 weeks. They allow u to do payment plans with your courses also. The PCT course is also 6 weeks (3 for phlebotomy & 3 for the EKG). It's very convenient location in Downtown Brooklyn (A,C,G, 4, 2,3 train lines are all close). Good luck. Below is a video of us practicing for the state boards. - Ashley J. The front desk lady employees were very sweet and attentive because they always addressed my needs in a timely fashion, however I felt like I self-taught myself how to become a CNA despite attending every class and being active in classroom participation and engagement. I unfortunately had an instructor who barely taught us enough information in order to prepare us for the CNA certification exam but I had a great clinical instructor (Azary). I wish I had him for my CNA courses instead because he knows his nursing material so well. - Christine G.
It was probably the best thing I could have done career wise. I took the weekends CNA class over the summer and it was great. The instructor, Lennox Rodney, was so knowledgeable and made the class enjoyable. He really taught on how to pass the test and focused on the things that actually matter. The facility was overall fine and the staff really do with you if you have any problems with money or missing a class. Good luck to everyone and if you are considering the school, just go! - Lemon L.
Instructor Usuf was VERY informative and patient . When I stepped into the class he welcomed me and had everything setup. He followed the video accordingly and did step by step instructions on each procedure. I would swear he was a medical doctor with the amount of knowledge he had. I will be going back here for my future bls and Acls renewal course . Thank you again for making this experience enjoyable and educational. A must go to place for anyone !!! - Matt L.